Yuppppyy!!!! I’ve been nominated for the Liebster award!!!!! I have to thank This Must Be The Plate, in particular Chiara, for this very SPECIAL surprise!!! It’s a big honour for me and for my young blog, which is only 3 months old! Grazie, grazie, grazie!!! 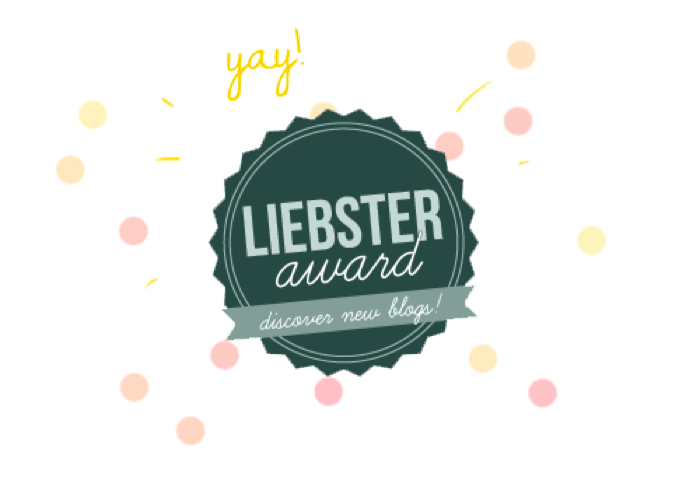 The Liebster award is a nice way for bloggers to recognize other bloggers with less than 200 followers. The rules are easy to follow: thank the blogger who nominated you, answer his/her 11 questions, share 11 facts about yourself, nominate your 11 favourite blogs, ask your nominees 11 questions and inform them about their nomination. 1) What is your number 1 breakfast? La colazione del campione? 2) Do you listen to music while you are cooking? If yes, of which genre? Quando cucinate ascoltate musica? Se si, che tipo? Usually I do not listen to music while cooking unless my neighbor turns up the volume too much. 3) In my kitchen I cannot renounce to….. Quale utensile non può mancare nella vostra cucina? 4) Which is the best pastry in your town? La miglior pasticceria della vostra città? 5) Which is the most difficult recipe you tried to prepare? La ricetta più difficile con cui vi siete cimentati? It is the Bouillabaisse fish soup. 6) When did you start cooking? Quando avete iniziato a cucinare? Relatively late: during my Erasmus in 2011. I had no choice!! 7) Which is your best recipe? Revel your secret! Qual è la vostra ricetta migliore? Dateci il vostro segreto! 8) What do you love about cooking? La cosa che vi piace di più del cucinare? About cooking, especially about baking, I love the scent that emerges from the oven. Remember: “the scent of baked goods makes people nicer“. 9) Which is the reason why you decided to become a blogger? Cosa vi ha spinto ad iniziare un blog? I decided to become a blogger because thinking that someone could make other people happy thanks to my recipes in simply amazing! 10) Which is the best Italian traditional dish? Qual è secondo voi il miglior piatto (dolce o salato) della tradizione italiana? Artichokes “alla romana” … I love them!!!! My ideal menu is composed by: scallops au gratin or mussels “alla scotadeo”, sea food spaghetti, oven baked sea bass with roasted potatoes and a warm chocolate and raspberry tartlet. – My ideal travel: USA, West Coast trip, old cabriolet, The Heavy – Short change hero as background music and a lot of sun!! – How is your passion for food born? – Do you prefer to prepare salty or sweet dishes? – What would you prepare for a candle light dinner? – What is the ugliest dish you ate? – Is there any dish you associate to a nice experience? – Which is your favourite cocktail? – Who is your favourite chef (or pastry chef)? – Which is the most representative dish from your city (specify which city)? 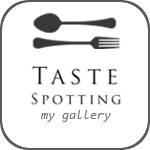 – How do you recognize a good restaurant? – Which spice do you consider indispensable in your kitchen? – If you were a dessert, which one would you be and why? Congratulations to all the nominees and enjoy the Liebster Award!!! !